Williamsburg, Brooklyn, NY (January 3, 2019) – A construction accident in which three workers were hurt after falling off scaffolding was reported to have occurred on Thursday morning, January 3, in Brooklyn. Authorities stated that the workers fell approximately one-story at around 8:30 a.m. while working on Driggs Avenue, in the vicinity of South 4th Street. Emergency medical crews were called to the scene along with police to assess the situation and assist the victims. At least one injured worker had to be carried away from the scene on a stretcher, according to authorities. All three workers were promptly transported to a local hospital with injuries that have currently been classified as non-life-threatening. The scaffold was not damaged during the accident and city’s Department of Buildings are investigating the stability of the scaffold at this time. Investigators are evaluating the incident as no further information has been made available. Our sympathies are wholehearted extended to the three victims of this incident, first and foremost, as we sincerely preserve hope for their full recoveries. At this time, victims often have numerous questions and concerns following a New York construction accident. It is essential to understand that you may likely have the right to obtain compensation for your injuries. At Hach & Rose, we are committed to serving those who have been wrongfully injured by no fault of their own. We understand the stress and thoroughly overwhelming nature of a sudden accident, and we are her for you 24/7 to answer any questions you may have concerning your injuries caused by a negligent party or other entity. 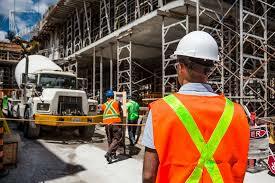 If you have been hurt in a construction accident due to an inattentive, party, employer, or other entity, please don’t hesitate to call 212-779-0057 today.